Savory FlameCookies! – balance, baby! Forget the heavy calorie pizza-bombs, I bring you the next best thing: Healthy, Lean, Light Flame Cookies! Good as a snack, for lunch or dinner. I was inspired by the ‘Elsässer Flamkuchen’ (German) or ‘Tarte D’Alsace’ (French); the French/German answer to the Italian pizza. 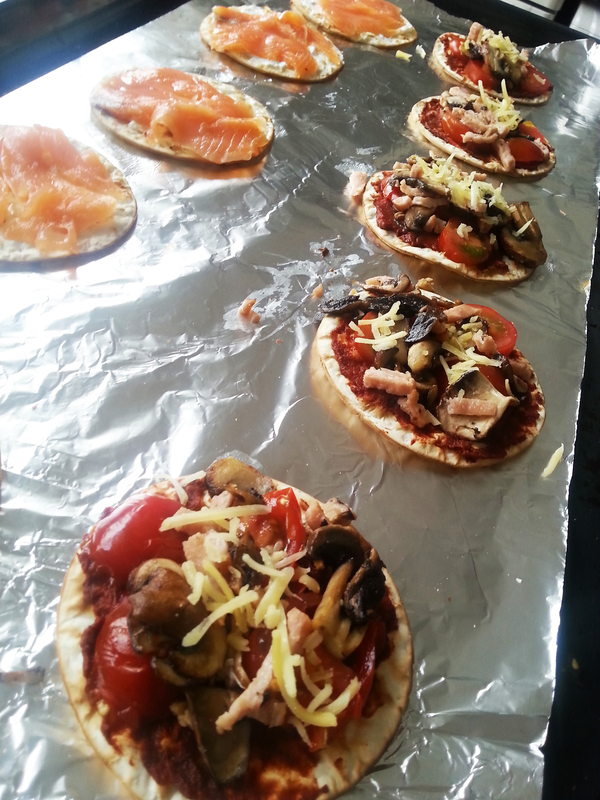 The ‘Flamkuchen’ (free transl. ‘Flamecookie’) traditionally comes from the region of the river Elzas, hence the French AND German.. cause, well.. these countries are neighbors and the Elzas goes through their border. The traditional Flamkuchen is the lighter version of the Italian pizza: The dough and spread is a lot thinner, the baking is a lot shorter in a hotter oven. The oval or round Flamkuchen is cut and served in little pieces. Its perfect as a snack or appetizer on a hot summer eve, as I discovered last week, while having pre-dinner munchies with my friend Heidi at one of The Hague’s trendy beachclubs. 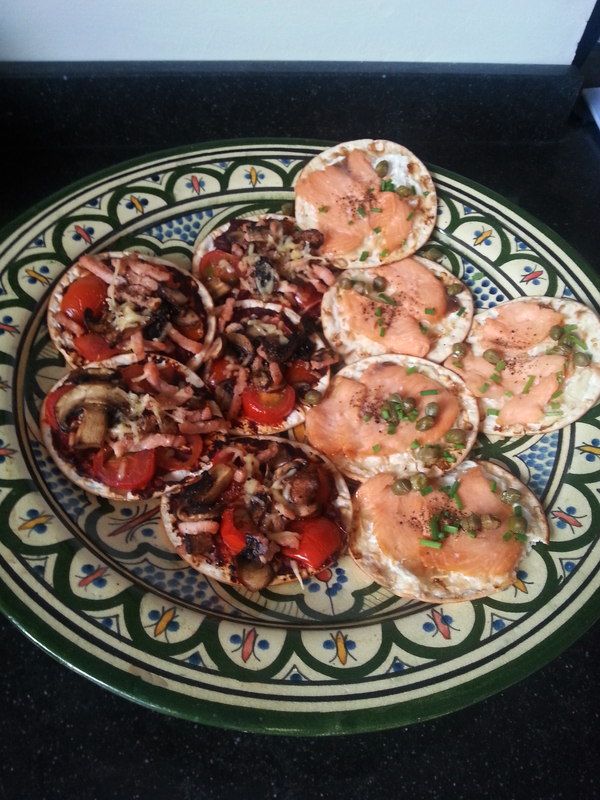 I loved this now very popular appetizer and it gave me the idea to create my own even leaner and healthier version. Preheat your oven to 200 celsius / 400 fahrenheit. 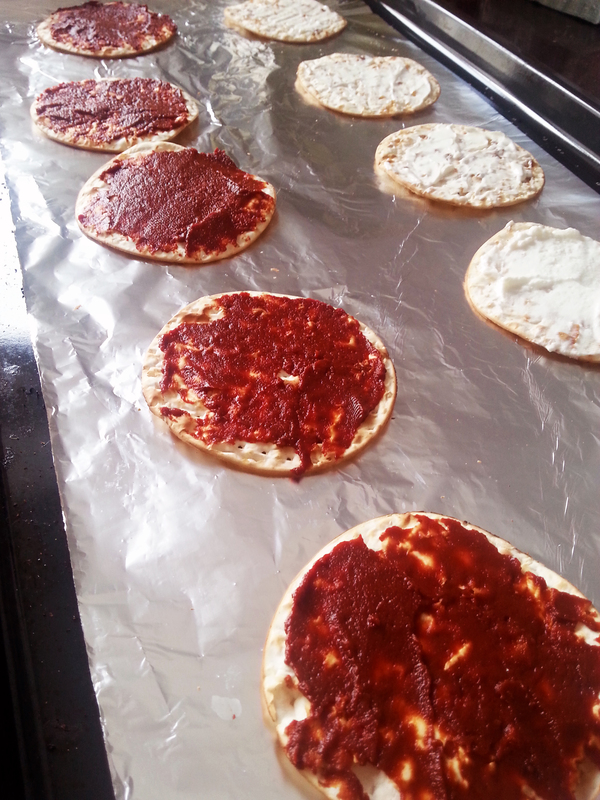 Spread a thick layer of curds over the matzes. Cover with a layer of smoked salmon. Add some black pepper. Squeeze the lemon over the mini-pizza’s. Bake the matzes for about 15 minutes (until the salmon is light pink). Now add chopped chives and capers. Ready, steady… Eat and enjoy! Preheat the oven to 200 celsius / 400 fahrenheit. Slice the mushrooms and dice the garlic; cook them in a pan with coconut or olive oil. Slice the smoked turkey and add to the shrooms. Meanwhile, spread the purified tomatoes over the matzes. Slice the cherry tomatoes. 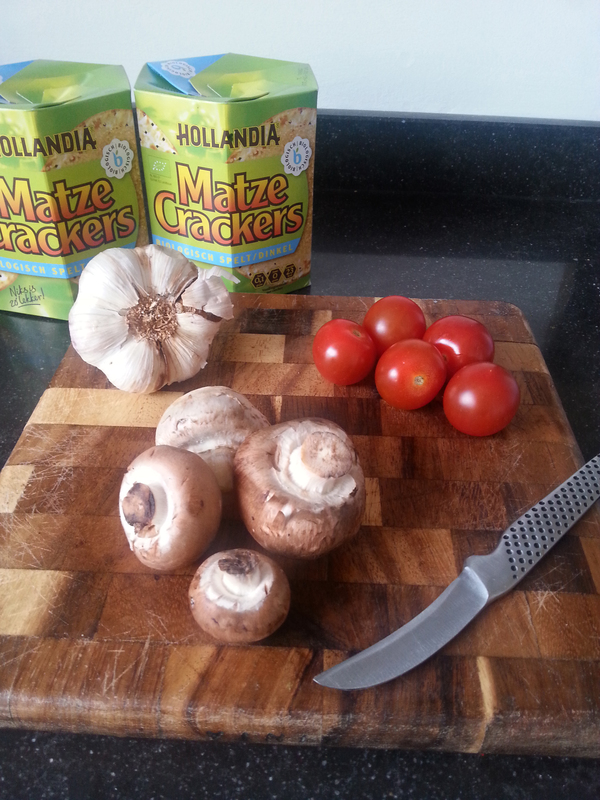 When the shrooms and turkey are done; add them to your matzes together with the sliced cherry tomatoes. Cover all with a bit of grated cheese, oregano and black pepper. Bake for 15 minutes ( ’till the cheese is half melted). You’re done! Yum! I promise!